You cannot add "Black XS Metro Blunt Umbrella" to the basket because the product is out of stock. 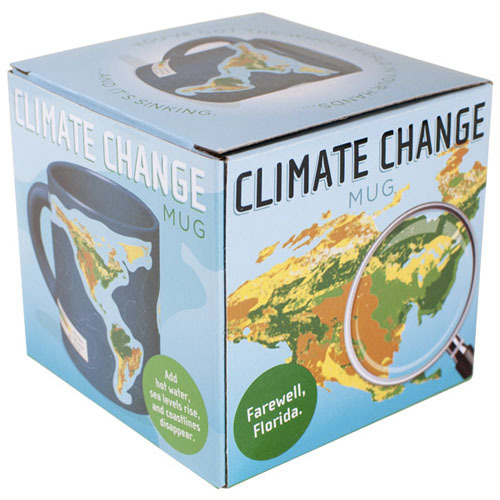 You can drink your tea or coffee from a mug that says “I Love Kittens” or you can help spread the message with this Climate Change Heat-Change Mug. You have a choice. You can drink your tea or coffee from a mug that says “I Love Kittens” or “Go All Blacks” – or you can help spread an important environmental message with this educational Climate Change Thermal Mug. 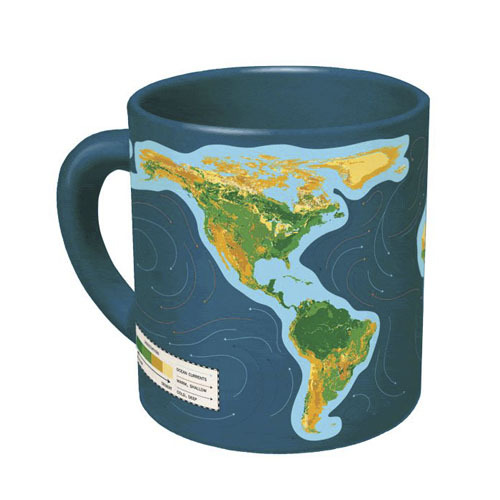 When you pour in your favorite hot liquid, the mug reminds us of the consequences of climate change – before your very eyes, coastlines shrink, and the ocean levels rise. Where’s Florida gone? Of course, not everyone wants to be reminded of planet wide catastrophe during their afternoon coffee break. But if you’re the type of person who confronts difficult issues even during your downtime, you should consider getting one. Due to the thermal properties of this mug, it is not dishwasher or microwave safe. Comes boxed. This product is also available for purchase in store at Space Place. Enjoy dessert like an astronaut with this Neapolitan Astronaut Ice Cream! Made by the same company that supplies real NASA missions. The Mint XS METRO BLUNT Umbrella, designed in New Zealand, is a revolution in umbrella design creating the ultimate defense against the elements. Tip this floating cable car pen and watch the cable car travel up and down the hills of Wellington as you write. The perfect practical gift.